Branded clothing is an essential part of a company’s image. Garments from simple waistcoats to Goretex jackets and items such as helmets and kit bags can be branded with your company logo or name. 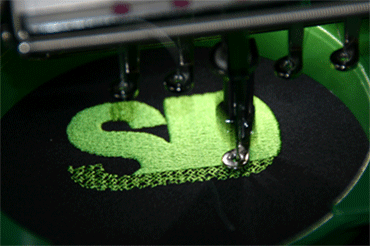 We are able to design and sample your logo before application to your selected garment. Our expertise can advise you on the best style and size for your logo whether you want it on the breast, sleeve, back, neck or leg. With our in house production we can offer even the smallest quantities whilst being very competitive for the large corporate orders. Both MSA and JSP offer a badging service for their helmets and with a stocking agreement we can help to give you a continued supply of your marked helmet. Kitting out operatives can be hard work and stressful. 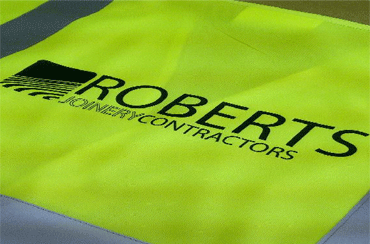 Vizwear can take away the headache of ordering, matching and delivery of your workwear. We can consolidate individual requirements to produce a master order whilst delivering the workwear in individual kit bags.